2006 saw the publication of Perry's first book, Don't Make A Black Woman Take Off Her Earrings: Madea's Uninhibited Commentaries On Life And Love, which shot to the top of the New York Times nonfiction bestseller list and remained there for eight weeks. It went on to claim Quill Book Awards for both 'Humor' and 'Book of the Year' (an unheard-of feat for a first-time author), and spread Tyler Perry's unique brand of inspirational entertainment to a devoted new audience. It is a brand that quickly became an empire. In 2007, Perry expanded his reach to television with the TBS series House of Payne, the highest-rated first-run syndicated cable show of all time, which went into syndication after only a year. His follow up effort, Meet the Browns, was the second highest debut ever on cable - after House of Payne. In late 2012, Perry teamed up with Oprah Winfrey in an exclusive deal to bring scripted programming to her cable network, OWN, and launched with the half hour sitcom, Love Thy Neighbor, and the hour-long drama, The Haves and The Have Nots, which made its debut in 2013 and has continued to break ratings on the network. This past summer, Perry debuted a new drama series called Too Close to Home on TLC, the network’s first scripted series. 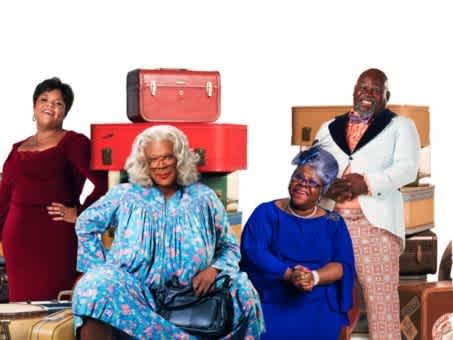 OWN recently premiered a House of Payne spinoff series, The Paynes, on the network in 2018. It was announced in July 2017 that Perry signed a multi-year content partnership with Viacom, in which he will produce original drama and comedy series across the Viacom networks, in addition to having a first-look feature film deal with Paramount Pictures group. In the fall of 2008, Perry opened his 200,000 square foot Studio in Atlanta, situated on the former Delta Airlines campus in the Greenbriar area of southwest Atlanta. During the course of its operation, the space was home to production of over 15 films and over 800 episodes of Perry’s five television series.Â In 2015, TPS announced plans to expand operations with the acquisition of Fort McPherson, which sits on over 330 acres.Â Perry and the studio’s Atlanta-based employees will remain in production of Perry’s five current television series, in addition to major feature films and television shows filming in Atlanta.Â Production is already underway at the new studio, which will contain twelve soundstages ranging in size between 10,000 and 60,000 square feet.